COPA For Kids aviation program provides — free of charge — an introduction for Canadian youth into the world of general aviation. To date, the COPA for Kids program has introduced over 23,000 young Canadians to General Aviation. 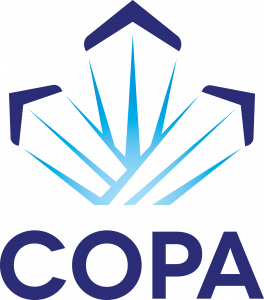 The COPA For Kids Program is sponsored by AIG Canada, the underwriters for the COPA VIP Gold and VIP Silver Aviation Insurance programs and delivered by our national network of COPA Flights. COPA Flights and COPA members who wish to fly young people are invited to read the Guide to the COPA For Kids Aviation Program and see the brochure and certificate that is available for download. Waiver Registration form only back to back. Volunteer pilots are also required to undergo a Vulnerable Sector Check through their local police station. Additional details are contained within the Guide. In partnership with Hangaaar, COPA is providing eligible participants with complimentary access to Private Pilot Groundschool, online. Hangaaar’s groundschool course satisfies all of the Transport Canada requirements for classroom training, and upon successful completion, students will be provided with the recommendation required to write the Transport Canada written exam. To highlight the efforts of volunteers, three COPA For Kids awards will be presented annually, sponsored by AIG. Nominations will be accepted anytime but in order to be considered for any particular year they should be submitted by 31 December. Awards will be announced by the end of January. Nomination materials should include detailed descriptions of the accomplishments of the nominee, any relevant background information and letters of recommendation from fellow COPA members. Nomination form can be found here. Please send us an email if you have any questions.